Umbria is a picturesque landlocked region of Italy that is often called the “Green Heart of Italy”. Umbria also happens to be Tuscany’s good old neighbor and although most of the tourism seems to be towards Tuscany, things are slowly changing now. People have started to appreciate the gorgeous region of Umbria and the many things it has to offer. There are a lot of places and things to do in Umbria that I’ve listed as a short travel guide below. 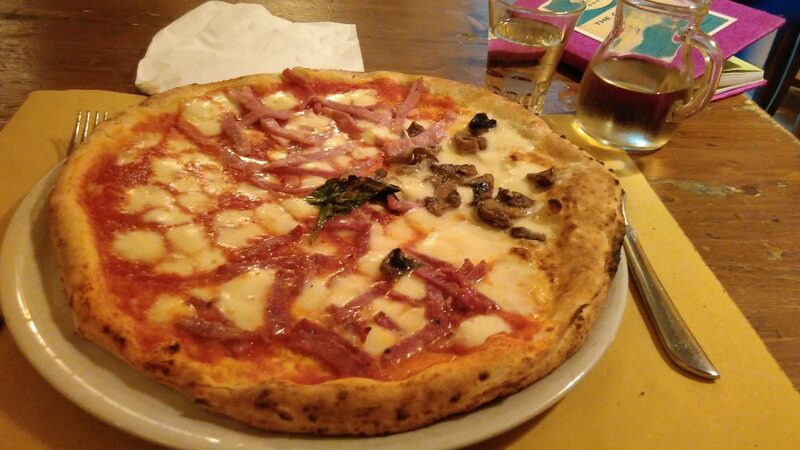 Hope it helps in planning your trip to this part of Italy! 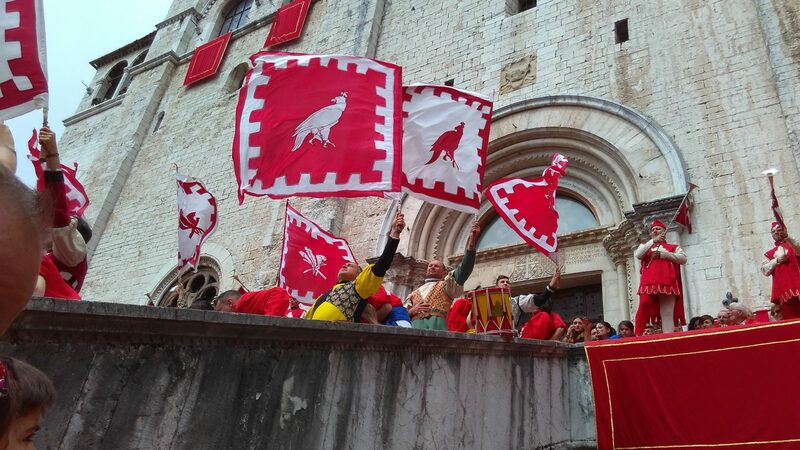 If you haven’t read my post on Gubbio’s ancient festival Festa dei Ceri, you are in for a surprise! This ancient festival from the 12th century is like no other! 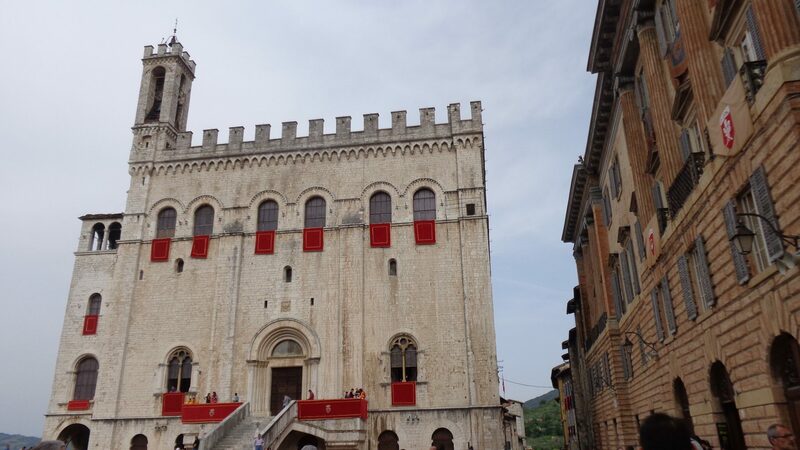 Gubbio is famous for the Festa dei Ceri along with its mysterious and Gothic architecture. Gubbio is a fabulous place with stupendous Umbrian landscape, medieval alleys and a Roman amphitheater. It is a welcome change from the bigger towns in Italy. Gubbio can be reached from Perugia and other towns of Umbria by bus. Since there is no train station in Gubbio, the best way is a bus or a rental car. Perugia is very dear to me because one of my first solo adventures was in this city. Not only is Perugia buzzing because it is a University town but also it is architecturally very sound. Perugia has an ancient aqueduct, quirky transport in the form of a mini metro, Etruscan tombs, annual chocolate and jazz festivals and so much more!! Perugia’s bus stop ‘Perugia Partigianani’ has one of the best connections in Umbria to other places in the region and beyond. Perugia can be reached from Rome’s Airport by the Sulga bus. 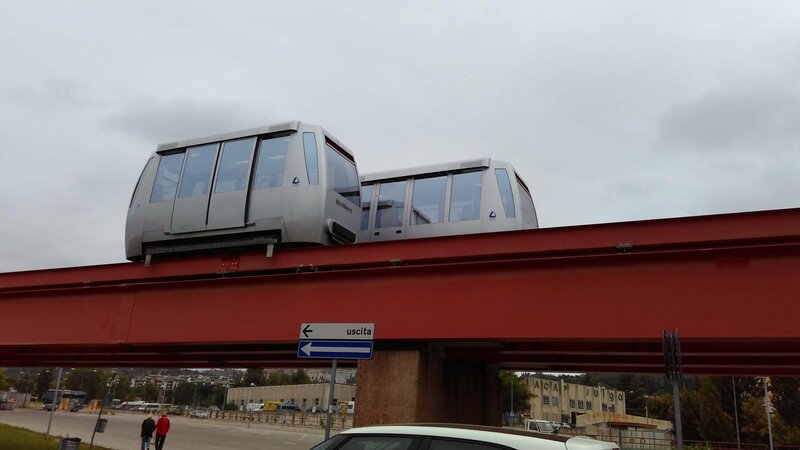 Perugia’s train station is located at the foot of the town and the best way to reach the town centre from the train station is via the Mini Metro (pic above). There are local buses to reach the centre too. The town of Assisi is the birthplace of St. Francis and is located in the enchanting Umbrian hills. 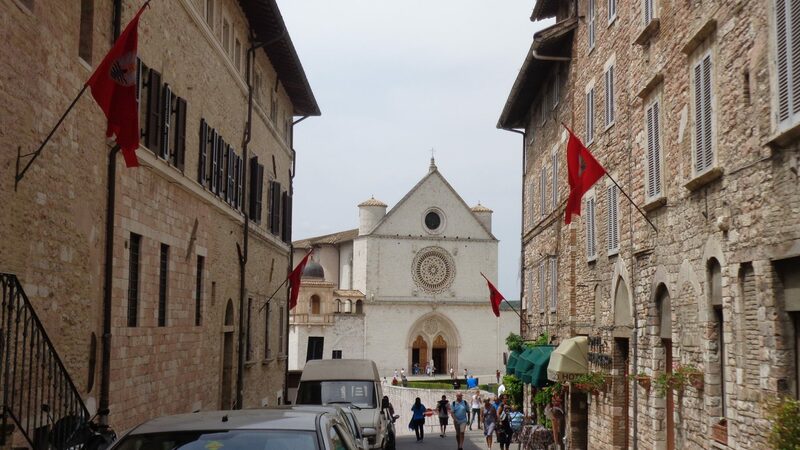 Assisi attracts tourism because of the Basilica di San Francesco (Basilica of St. Francis) which is stunning inside out. The centre of the town is the Piazza del Commune and is home to an ancient Roman Temple, a baroque fountain, several Bars and Palazzi. 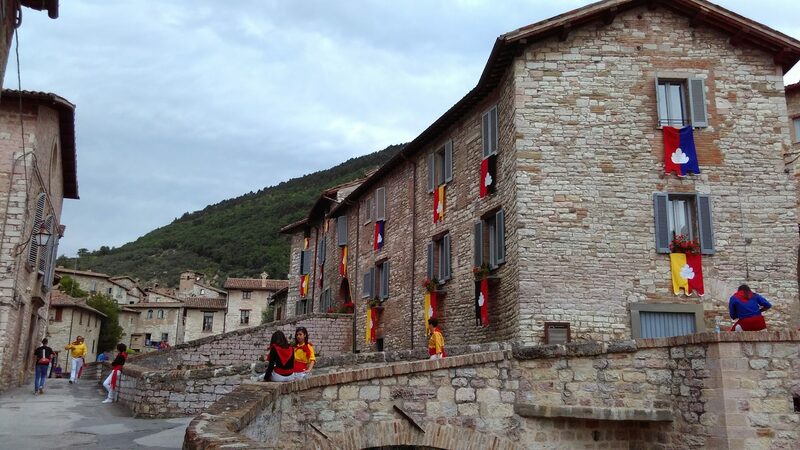 Assisi’s beauty lies in its multi colored flags and potted plants hanging out the many balconies. 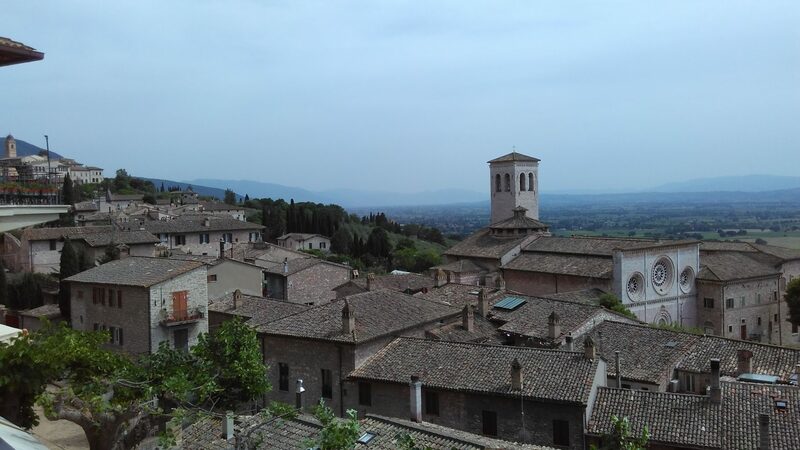 There is a gorgeous view of the countryside from every angle in Assisi. Assisi is only an hour from Perugia and is connected by bus from all major towns of Umbria. Assisi’s train station is at the foot of the hill in the town of Santa Maria degli Angeli. 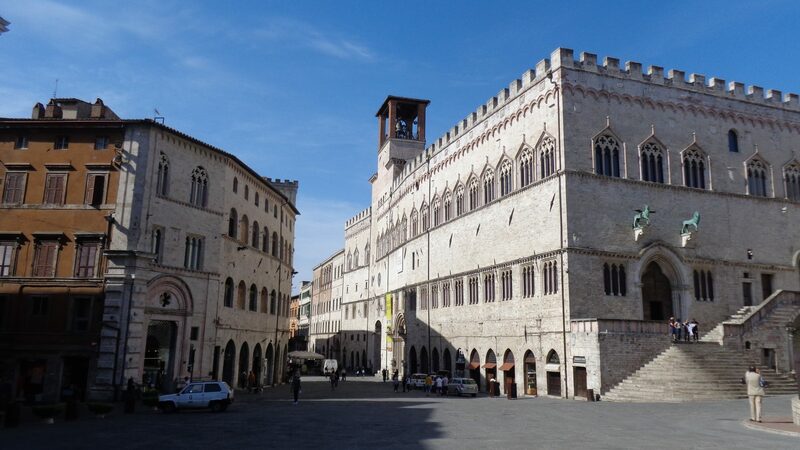 From there, a bus to Assisi is easily available and takes 8-10 minutes. 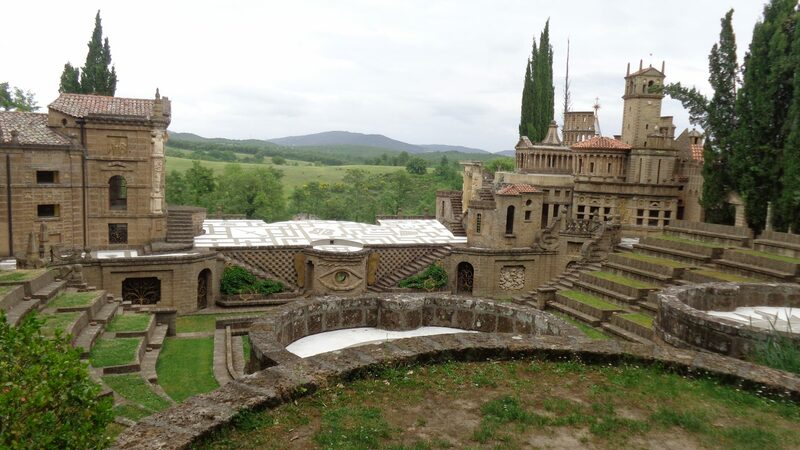 Orvieto is another fabulous day trip from Perugia if you are especially fond of traveling vintage style. The town has a train station at the foot of the hill (like most towns in Umbria) so you can reach the centre of the town only by car or by an old funicular!! 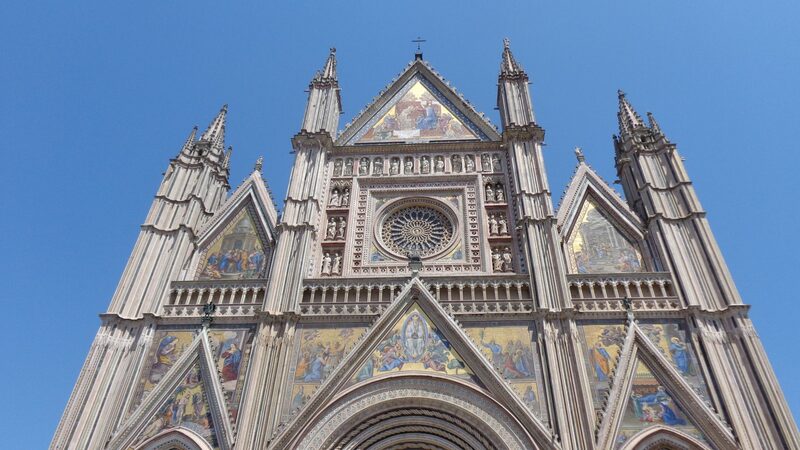 Orvieto is famous for the Orvieto Classico wine, ceramics and its Duomo (the main cathedral). 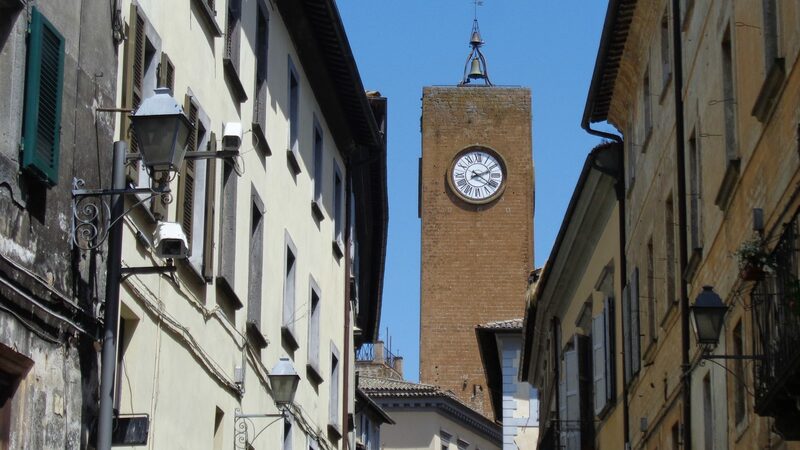 The town has the Torre del Moro-a 47 meter high clock tower with exceptional views of the countryside. Climb 236 steps to the tower and and see little hamlets and villages down south. It was worth the EUR 2.8!! 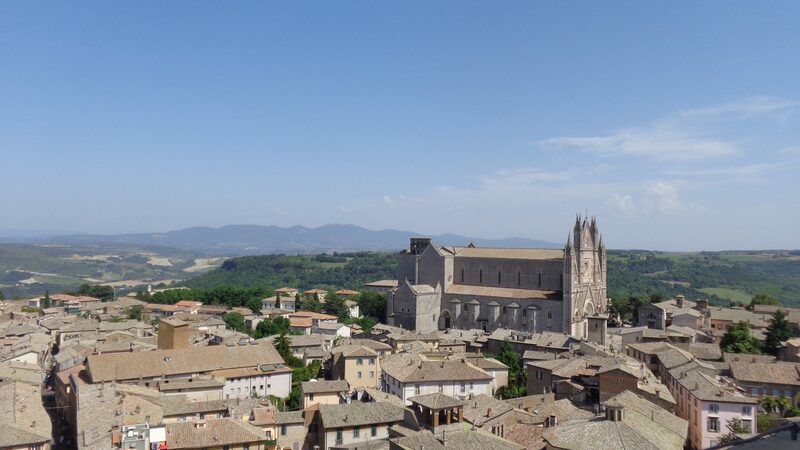 Orvieto can be reached by train from Rome in only 1.5 hours! If you are anywhere else in Umbria, catch a bus to reach here. However, to get to the centre remember to use the old style funicular opposite the train station. 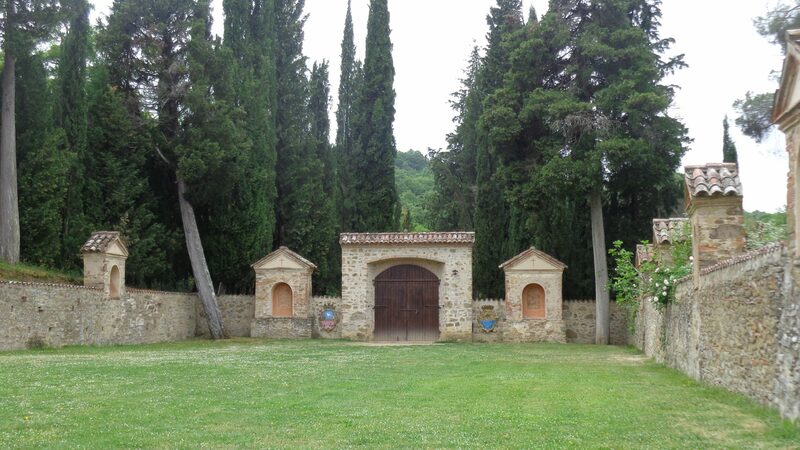 Another interesting thing to do in Umbria is to hire a car and visit the park of La Scarzuola. Situated only a few kilometers from the town of Citta del Pieve, Scarzuola is eccentric and a little eerie. There are guided tours to show you the park which was created by Tomasso Buzzi. The intention behind Buzzi’s creation of La Scarzuola was the concept of an “Ideal City”. Even after visiting La Scarzuola, I don’t know what he meant by an ideal city or whether it was ideal, but all I can say, it is worth making that trip to this surreal place! 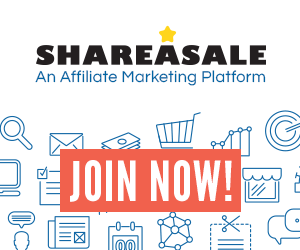 Read here to know more. La Scarzuola can only be reached by car as the nearest train station is 60kms away. I visited Umbria in Spring, early May to be precise, and wore dresses during the day and light sweater in the evening. The temperature was absolutely perfect for me and I would love to re-visit the region in Spring or Autumn again. In my opinion, Winter in Italy is a great time to visit anywhere but be careful to book a property which has heating. The stone villas of Umbria might be colder than you imagine. 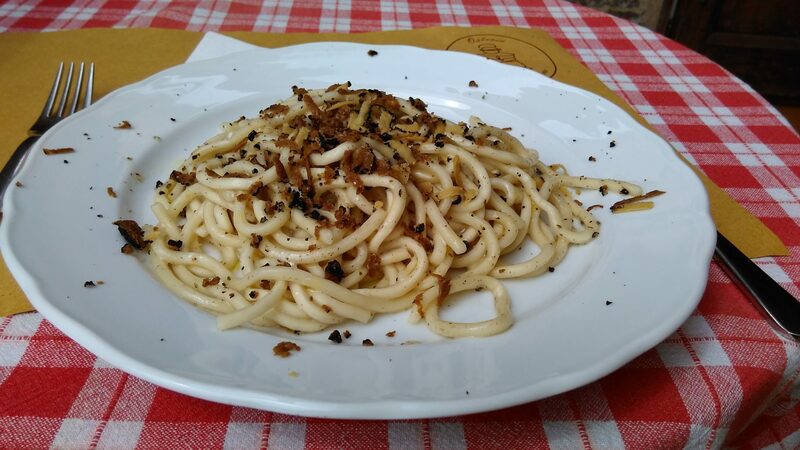 Umbria is the land of truffles, boars and prosciutto! Try the Norcian Prosciutto, ham and Perugina chocolates. If you get a chance also try the lentil soup in this region. Check Discovering Umbria and Villa in Umbria for more on stay. I would also like to see the towns of Bevagna, Todi, Terni, Deruta, Narnia, Spello and Spoleto in Umbria. Italy always has much to offer!! Tell me what’s on your list?? I’m sure!! Would love to put it on my bucket list. Lovely post Ishita. I’d love to go to Assisi. Looks so beautiful. thanks cara 🙂 You will love it!